Today, you prepared the gardens for the Spring with your Earth Bites instructors. In addition to this, you made a healthy snack out of spinach, kale, garlic, lemons, and chick peas. You are learning about healthy living, eating, and how to follow simple recipes to make delicious snacks! If you haven't brought in your forms/money for Zumba/Tennis, please do so tomorrow. PARENTS: Click here to indicate what time and day you will be here for the conferences next week. You can read more information about them on the previous posts this week. Complete your self-assessment of your first draft of your gift of words, thinking and learning questions, and powerful response if you haven't already done so. Click here to access the criteria for all 3 sections. If you have any questions, email me directly or post it here. Play around with Picmonkey.com and create your first draft of your ABC collage with all 26 letters. Once you have done this, click here to upload your collage to our shared folder. Be sure to name your collage your first name. If someone else in the class has your first name, use a nickname like 'K-Dub'. Click here if you are interested in writing a math contest on April 28th, 2018. Write about what pink shirt day means to you in a standard paragraph. Things to include: intro, supporting sentences and examples, and a concluding sentence. Givens: spelling, capitals, grammar, sentence structure, and good vocabulary. Edit/revise your original draft according to the criteria above. Comment or give one student some feedback about their post. Reply to any comments you receive. Today, you participated in another science challenge! All of you were given the challenge to create an electromagnet that could pick up a paper clip. Many of you tried different things before you were able to finally create one. Tonight, you don't have any Science homework, but I want you to think about what the strength of your magnet would be like if you wrapped your nail in 4 coils of wire and if you wrapped it in 40 coils. What do you think the difference would be? Feel free to comment on this in the PAR. DON'T FORGET IT IS PINK DAY TOMORROW!! Student led conferences will be held on March 7th and 8th. On both of these days, your child will be dismissed at 2pm. This is an opportunity for your child to share their work at school with you. Students will take you through their FreshGrade portfolios to show you some highlights and specific assessments. If you are unable to make it on either of those days, your child may also take you through their digital portfolios from home. A checklist will be sent home so your child can do this with you. Any specific questions can be addressed by email or you can set up a an alternative time to meet with me. Please be aware there will be multiple parents and students in the classroom at the same time and conferences will be 15 minutes each. Click here to select your preferred time slot. Complete your first draft of your gift of words, thinking and learning questions, and powerful response based on the criteria handouts. Complete all 26 photos for each letter of the alphabet. Click here for the criteria. You need these to work on your collage in class tomorrow. You have a holiday today because I want to make sure you complete the homework. Post any questions you have about your homework here. The students started their day off with a Zumba class in the gym. If you haven't brought in your $20 for Zumba and tennis, please do so asap. The students were engaged in their inquiry into electricity this afternoon. They were given 2 challenges today. One was to create a complete circuit with two bulbs that used one pathway and another was to create a complete circuit with two bulbs that allowed for multiple pathways. From there, they added more light bulbs and made predictions as to what would happen and why it was happening. This is an opportunity for your child to share their work at school with you. Students will take you through their FreshGrade portfolios to show you some highlights and specific assessments. If you are unable to make it on either of those days, your child may also take you through their digital portfolios from home. Any specific questions can be addressed by email or you can set up a an alternative time to meet with me. Complete Questions from lesson 6.3. Review the lesson if you need. Mark your answers at home. Do all corrections at home. We will go over any challenging questions tomorrow. Today, you investigated different ways of making light bulbs work using different types of circuits. Click here and complete this online electrical challenge! Follow the instructions at the bottom of the link. After completing the challenge, answer this question: How does the brightness of the two lamps compare with the lamp on its own? What is your hypothesis for this? In addition to completing everything above, write about what you learned in Science today (at school and at home). Today, the majority of the students handed in their mapping assignments for the Forbidden City. The entire learning process was quite remarkable to see. Students learned about scale, ratios, and proportions and how to apply their knowledge in a practical way. It was not an easy assignment and required a great deal of hard work, focus, and concentration. Keep on learning!!! Complete pg 274-275 Questions #1-15 if you didn't finish it in class. Click here to review your lesson from class and the textbook questions. Ask questions here if you have any. We will review challenging questions in class on Monday. All handouts can be downloaded here. You have been learning about the zero principle and opposite integers. In paragraph format, explain how each of these math terms are related. Edit your paragraph for the givens (spelling, capitals, sentence structure, grammar, paragraph format). Do this by replying to your original post and start by typing 'REVISED'. Today, students learned about integers. They learned what they are, where they see positive and negative integers, and how to solve simple integer problems using a number line. Tomorrow, they will be learning about the 'ZERO PRINCIPLE'. In addition to this, they worked hard on their maps of Beijing. It looks like the majority of the students will be finished by tomorrow. The students will have one hour in class tomorrow to put the final touches on their assignments. Beijing map assignments are due tomorrow. If you forgot your criteria sheet at school, click here. Remember, you need to follow the success criteria if you want to do well! Create a mathematical question that involves positive and negative integers. Solve at least one question posted by your classmates. Feel free to solve as many as you can. Be sure to explain your answer clearly and in your own words. In your answer, explain the direction you moved on your number line. (Examples can include temperature, time zones, video games, discounts, altitude, stocks, etc). If someone answers your question, check their answer to see if it is right. Let them know what they need to try again. Today, students completed a self-assessment for their new math unit on integers. The purpose of this pre-assessment is to allow students to see where they are in their learning of the new concepts. They will compare their self-assessments to how they progress throughout the unit. There was also excitement today when it started snowing outside. I wonder how much snow will fall by tomorrow morning? IMPORTANT: Some of you did not follow the instructions on yesterday's PAR. Some of you did not reply to your original post with a (REVISED) version. You have until tomorrow morning to complete this. I will assess it afterwards. An integer is any positive or negative whole number. For example, -3 and +3. Think about places you see positive and negative integers to prepare yourself for math class tomorrow. Continue working on your map. It is still due on Friday. Most students made lots of progress on their maps over the weekend. Remember, manage your time wisely. If you don't, you will not finish by Friday. If you haven't already done so, continue working on updating your science journals. You now know how to draw schematic drawings with the appropriate symbols. Be sure to update your notes for your 4 challenges with the schematic drawings. Click here to review what you learned about series and parallel circuits today. Self-regulation is something that everyone practices. You have been focusing on being more mindful in class when you enter and during transition periods between subjects. Write a paragraph on three things YOU do to help you self-regulate in class. This will be different for every student. For example, think about how you help yourself to stay focused during lessons. What or who reminds you and shows you how to behave? How do you know how to behave when walking in the halls? How do you regulate your emotions in challenging situations? These are all questions you might think about when writing your paragraph. Don't forget to edit/revise your original post by replying to it and starting with (REVISED). Edit/revise for the givens today. Today, you continued working on your maps of Beijing. It looks like the majority of you made progress on it over the weekend. In the afternoon, you continued your inquiry into electricity and magnetism. All groups were able to complete each of the two challenges today and were able to prove that electricity produced magnetism. The 'AHA' moments that I saw were of pure joy and showed me you all have a love for learning! Stay curious and willing to learn new things! Complete your inquiry journal for all 4 challenges. Continue working on your maps. THIS WILL BE POSTED TO FRESHGRADE AND ASSESSED. Today, you learned about different types of variables. Watch this video on scientific variables to review. Write a paragraph and post definitions in your own words for the following words: control, independent, and dependent variables. After each definition, provide an example (supporting sentences) of each of these types of variables that shows you understand each of the terms. You can pull examples from the 'challenges' you have been working on, your ecosystems project, or any type experiment you can think of. Read through 2 other posts and comment/ask questions about them. You have all been working so hard so you should all take Monday off! Monday is a pro-d day! Enjoy! This week will be a busy one. 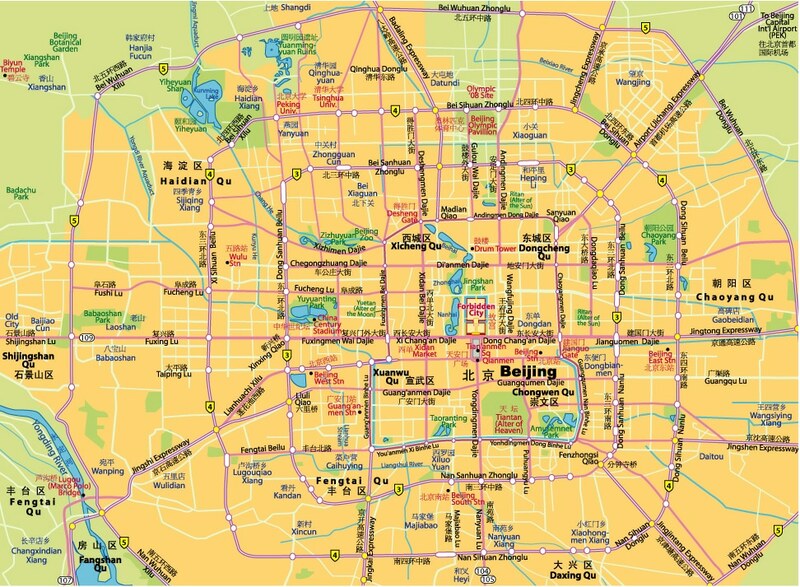 We are aiming to complete our 'Forbidden City' maps of Beijing for your ratio/proportions assignment. You all learned a great deal during the creation of your map of Africa. I can't wait to see your creations this time around! NOTICES: Zumba notices, high school registration forms, and camping forms must be returned immediately. Continue working on your project. Due on Friday. Choose an appropriate topic and get creative! Try to make the content of your poem deep and meaningful. Do some research on the different types of poems and create one. Define the type of poem in a few sentences. Ask one student a question about their poem. Answer any questions you receive. Today, you were given two challenges during Science. For the first one, you were given 3 items (wire, battery, and light bulb) and your task was to get the light to work. Many of you struggled, but through your investigations, you were able to learn how to create a complete circuit. For the second challenge, you were given 2 magnets and your challenge was to complete several different tasks. The learning energy in the classroom was 'ELECTRIFYING' during your inquiry session. Word work due tomorrow. You will have about 20-30 minutes in class to finish it up. However, you should work on it tonight. Remember, you need 16 sentences that show me you know how to use the word and know what it means. Setting is an important part of a story. It describes the place and time of a story. Post a standard paragraph on the setting of your picture book. Explain where the setting begins and where it ends up. If it changes multiple times, be sure to include that in your paragraph. Ask one student from your group a question about their setting paragraph. Edit/revise your original post for the givens (spelling, grammar, sentence structure, capitals, etc). Do this by replying to your original post and putting 'REVISED' at the beginning of your revised post. Today, you started working on your ratio/proportions assignment for the Forbidden City. All of you have clearly improved on your ability to measure and calculate ratios/proportions. You started creating your grids for the maps of Beijing you are making based on the routes taken in 'The Forbidden City'. We are looking forward to seeing all of you applying your math skills on this assignment. Remember, be sure to follow your criteria sheet in order to achieve success. Prepare for your assessment tomorrow. Complete your pre-test for math. Choose one of the characters from the picture book you are reading and explain in paragraph format how the character develops from the beginning to the end of the story. For example, explain if the character's mindset changed throughout the story. Provide evidence for this change and why it happened. Ask two students from YOUR PICTURE BOOK GROUP about their response. Answer any questions that your group members asked you. Edit/revise your original post based on a self-assessment (spelling, grammar, sentence structure, capitals, etc).